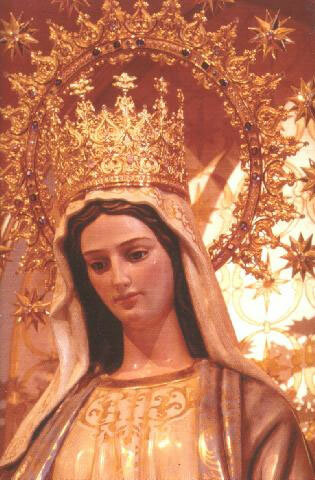 Pope Pius IX said of Mary's Queenship: Turning her maternal Heart toward us and dealing with the affair of our salvation, she is concerned with the whole human race. 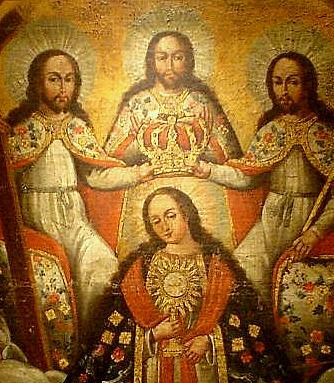 Constituted by the Lord Queen of Heaven and earth, and exalted above all choirs of Angels and the ranks of Saints in Heaven, standing at the right hand of Her only-begotten Son, Our Lord Jesus Christ, she petitions most powerfully with Her maternal prayers, and she obtains what she seeks. 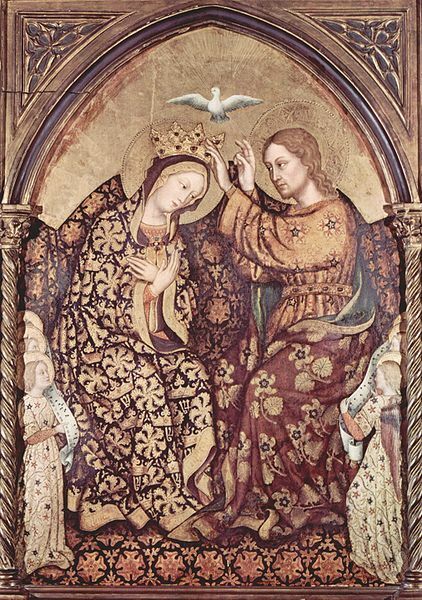 Coronation of Our Lady by Gentile da Fabriano And Pope Pius XII added the following: We command that on the festival there be renewed the consecration of the human race to the Immaculate Heart of the Blessed Virgin Mary. Upon this there is founded a great hope that there will rejoice in the triumph of religion and in Christian peace. Therefore, let all approach with greater confidence now than before, to the throne of mercy and grace of our Queen and Mother to beg help in difficulty, light in darkness and solace in trouble and sorrow. . . .Whoever, therefore, honors the lady ruler of the Angels and of men and let no one think themselves exempt from the payment of that tribute of a grateful and loving soul—let them call upon her as most truly Queen and as the Queen who brings the blessings of peace, that She may show us all, after this exile, Jesus, who will be our enduring peace and joy.